“You’re taking pictures of me,” the old man said from nowhere. I stood staring at a map, lost, beside a concrete apartment bloc. 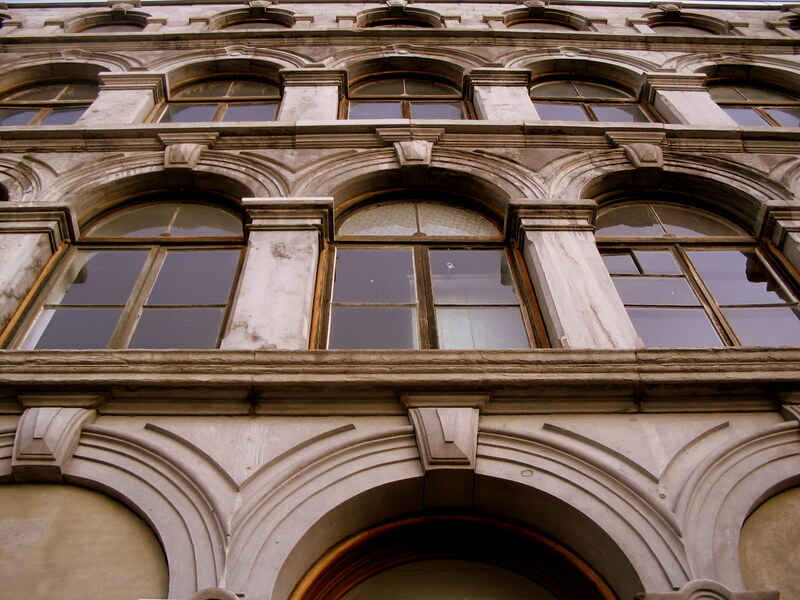 I was wandering aimlessly from the Marché Atwater to Westmount, photographing pastries in windows, laundry hanging from fire escapes, old churches, and corner diners when the man accused me. “Why are you taking pictures of me?” he asked. He wore a puffy, beige coat and a baseball cap and carried a plastic grocery bag. I struggled to understand him through half-forgotten French. He noticed I had trouble understanding and switched to English. “Why are you taking pictures of me?” he asked again. I hadn’t even noticed him. When I wander, I sometimes see what I want to see, and that day I wanted to see pastries in windows, laundry hanging between buildings, old green-roofed churches, and corner diners selling hot-dogs and patates-frites. But, sure enough, when I flipped through the photographs that evening, I found a couple photos of the man, increasingly agitated, staring back at me like a reflection. I told him I hadn’t meant to take photos of him. When he heard my accent and saw my confusion, he calmed down a bit. He asked where I was from. He looked into the courtyard of the gray apartment bloc, where a Japanese magnolia in bloom cast pink petals off like ticker tape, and his hard face softened. I told him my parents had a view of a Japanese magnolia from behind their house, which he liked very much, and he began to smile and talk a bit more animatedly about his city before he wished me a nice day, happy exploring, and shuffled off down some side street with his plastic bag. I consulted my map once more and set off towards Westmount which I knew nothing much about except that they supposedly spoke English there. I learned sometimes the most important thing you can see in a city is a tree in bloom in the courtyard of a concrete apartment bloc. If travel is an act of discovery, then traveling alone, especially for the first time, is an act of self-discovery. And in that lost year between college and law school, years ago now, a year I barely remember because not much happened worth remembering, what I desperately needed was a walkabout to give me some direction. A few days’ searching uncovered $65 train tickets from New York to Montreal, 13 hours each way. 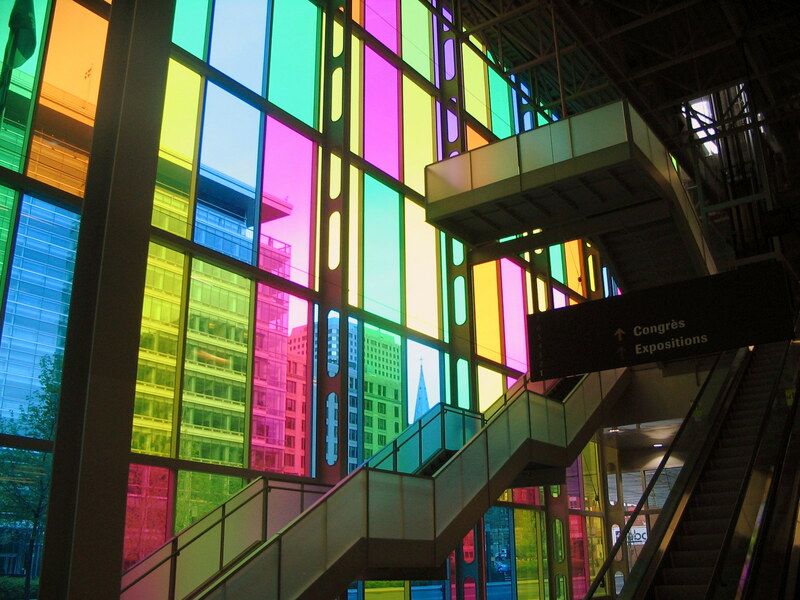 I booked a ticket for Montreal, as foreign a place as my budget would allow, stuffed a backpack full of clothes, and found myself, for the first time in my life, truly alone. I was in a strange city, in a country where I had no friends, no family, knew no one, knew of no one. 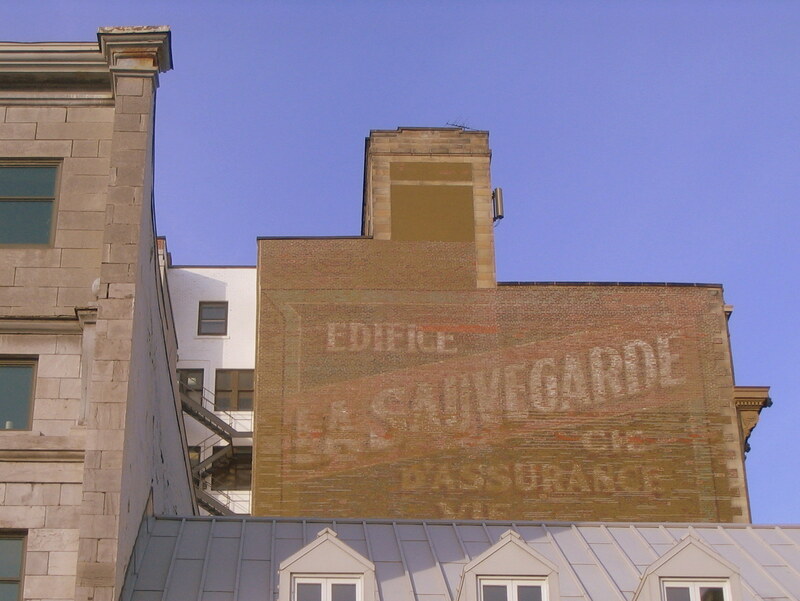 I didn’t have the cell phone plan to call home on or the money to call international from the landline in the cheap hotel room I’d found on the Boulevard René-Levesque near the Gare Centrale. So I sat on the floor and read a guidebook while I drank Kronenbourg 1664 and ate a round of Oka cheese from the IGA down the street. 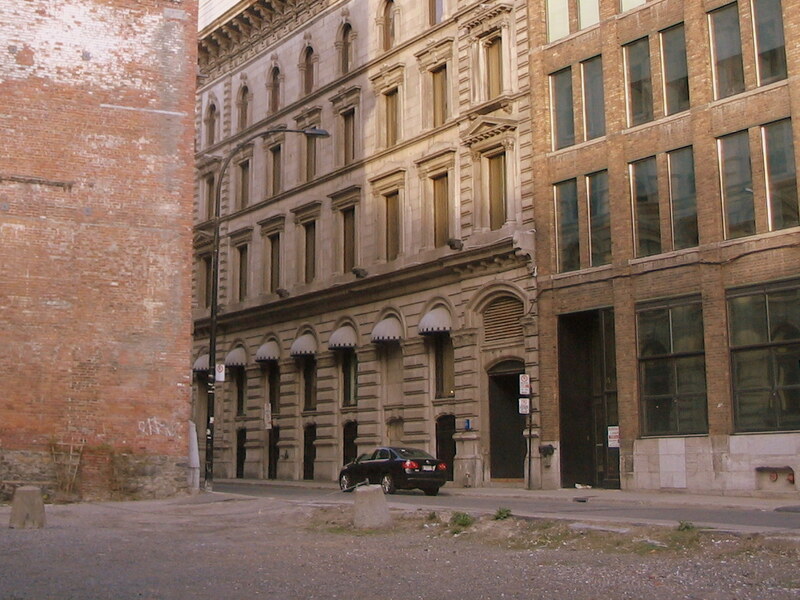 By 5:30am the next morning, my first in Montreal, my eyes were wide open, manic and sleepless, ready to see things for the first time in ages, and, hard as I tried, refused to close again. It was dark out, and the city lights still twinkled through the picture window. I debated going out into the darkness — this was Canada, after all, where I had a better chance of winning the lottery than of being mugged or murdered — but decided against it because it was dark out and who besides a crazy person walks about in the dark along empty streets in a foreign city. I showered, dressed, and sat on the floor of the hotel room finishing off the round of Oka I’d started the night before. As soon as the sun had risen just enough to bathe the streets in the pale pink light of early dawn, I was gone to see the world. I learned sometimes it’s all right to forget what’s proper and give into your own excitement. 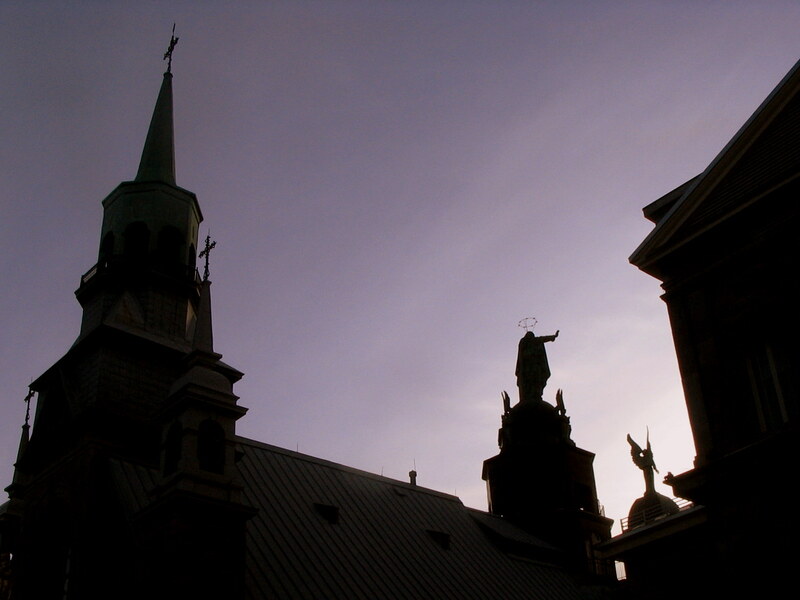 The Oratoire Saint-Joseph sits on the backside of Mount Royal, away from the St. Lawrence, toward Hampstead and the railyards. You get there on foot by hiking down the Chemin Remembrance from the Kondiaronk Belvedere with its sweeping views of the city and the chalet with its squirrel statuary, through the Olmsted park, past the Beaver Lake and the vast Notre-Dame-des-Neiges cemetery, to a smaller cross street, the Chemin Queen Mary, where suddenly the green dome of the Oratory looms above you like a giant, solitary breast. The church (or basilica, rather) is dedicated to St. Joseph, patron saint of Canada, and Brother André Bessette, renowned for curing the ill, rubbing them with oil taken from a chapel’s lamp and praying to the earthly father. “I do not cure,” he said. “St. Joseph cures.” But no one believed him, and secretaries were hired to handle the 80,000 letters he received each year. He was canonized in 2010. He remains memorialized in the austere, modernist basilica crowded with canes and walkers and neon lights and a million flickering votive candles. The basilica sits atop a promontory where, in 1904, Bessette built a small chapel to St. Joseph. It was replaced by a larger church in 1917, and, in 1924, construction began on what would become the largest church in the country and one of the largest in the world. When Brother André died in 1937, a million people filed past his coffin in the week following his death. His remains were interred at the Oratory: his body entombed beneath the basilica’s main chapel and his preserved heart in a separate reliquary with other artifacts of his life. One Thursday afternoon in 1973, a thief stole St. André’s heart from its glass case in the reliquary. Saturday morning, there was a ransom demand of $50,000, which the Oratory’s rector rejected. Christmas went by heartless, and there were songs and plays, even an art exhibit at an underground gallery which featured a pickled heart, a cow’s heart wrapped in plastic wrap in a baseball mitt from which maggots eventually sprouted, a religious fashion show, a life sized crucifix with a vibrating erection, and a spray-pained garbage bag covered with styrofoam worms. Nearly two years later, there was an anonymous call to a criminal attorney, and the heart was recovered from a locker in the basement of an apartment building in southwest Montreal and restored at the Oratory. The thief was never found, and his motive — variably attributed to Québécois separatists, college pranksters, West End gangsters, even the Oratory’s own administrators — remains unknown. Sometimes, if you let it, a city steals your heart. The way you access the Oratory is via three stairways of 99 steps placed side-by-side. The rightmost and leftmost stairways are for heathens and tourists like you and me. The middle, as the sign says, is réservé aux pelerins qui montent à genoux — that is, pilgrims who climb on their knees — because, apparently, that is a very devout thing to do. I stood a while to watch a woman in sneakers, t-shirt, and blue jeans climb the gray-blue middle steps. I was marveled and baffled by her devotion, but I could tell it was something deeply symbolic, that there was something very beautiful and metaphorical about her act, and I stood a while to make sense of it before climbing myself, on foot, up to the Oratory. I learned sometimes you can’t make sense of everything, that the world is full of fantastic mysteries, but that learning and observing, even without understanding completely, is itself worthwhile. Mount Royal, really a large hill more than a mountain, dominates the skyline of the city that takes its name. From the top, you see the mid-century downtown towers, the flatlands of southeastern Quebec, and, along the horizon like blue whales cresting, the isolated humps of the Monteregian Hills. There is a great big plaza there, which is very beautiful, and, at its edge, a lone Bell phone booth. With the quick rise in cell phones, I hadn’t seen a phone booth in ages, and I stood there snapping photos like Annie Leibovitz. A family from elsewhere walked slowly by gawking at the strange man-child with the messenger bag snapping photos of a phone booth like Annie Leibovitz. When I was maybe five or six, my mom took me to New York for the first time (or back there, rather, since I was born there but hadn’t ever really seen it). We rode a bus across Manhattan. She tried to talk with me, but I sat there, silently, mortified we should speak surrounded by others who sat quietly listening in. My mother, sensing my mortification and frustrated with her only son who clearly heard her and tried to ignore her, said loudly “You’ll never see these people again!” The parable of the people-on-the-bus became one of the most important lessons of my life. I learned sometimes it’s all right to snap fashion photos of a phone booth like Annie Leibovitz and let go of the people-on-the-bus. The best thing about Canadian cities is that, because they’re not chock full of landmarks, you quickly run out of landmarks to visit, and, if you want to see anything at all, you’re forced to just walk and see things and smell things and feel things too easy to mix in world cities where you dart frantically from museum to palace to cathedral to hotel to complete a checklist. The ability to wander is the most useful thing you can learn. If you can find magic in wandering, you can never be bored. 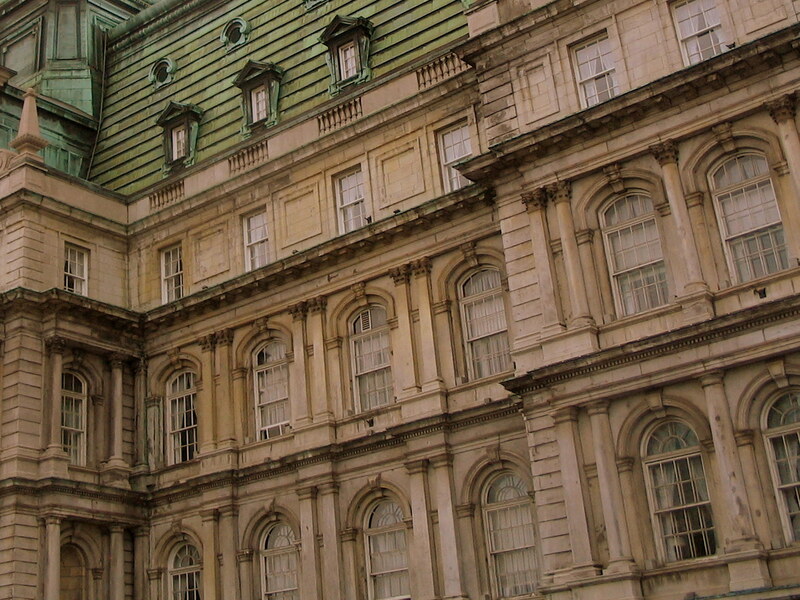 Montreal, in particular, is an extraordinary city to wander. It’s famously compared to Paris without the jet lag. But, aside from the sounds of French and the smell of bread and cigarettes, this is not Paris at all. 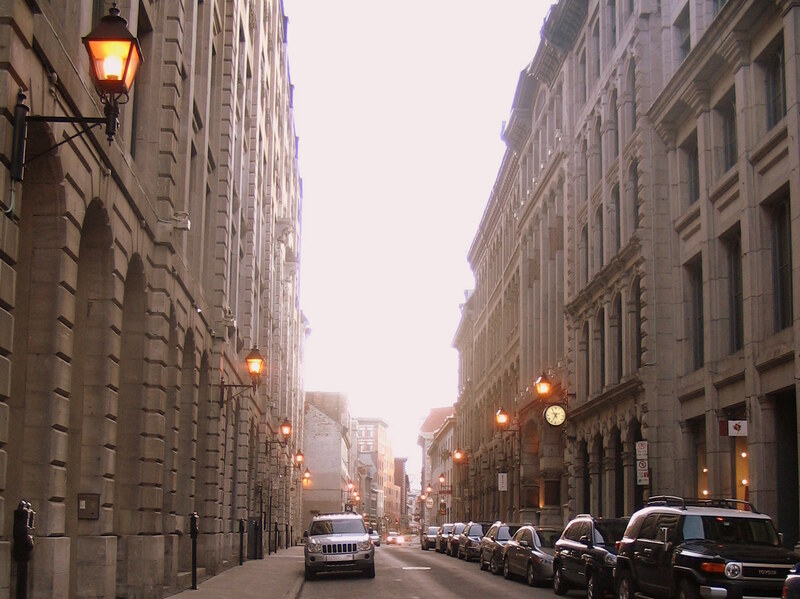 Sure, if you wander around Vieux-Montréal, focus on the old gray walls, peer into courtyards and boucheries, walk the cobblestones, and take in great breaths of pastry, you could almost believe you were across the ocean. Sure, if you just see the old men in knit caps bowling pétanque on the Square Saint-Louis, you could imagine wandering some middle-ring arrondissement. And sure, if you close your eyes in a station of the métro and listen to the sound of rubber tires, you could almost imagine yourself at Châtelet-Les Halles. But you’d have to squint and trick the mind not to spy the diner selling hot-dogs and patates-frites to your side, the very New World downtown rising above the old gray walls at your back, and the rusting grain elevators to your front. You’d have to miss the characteristic the weird Montreal duplexes with their open stairs snaking up to the second floor. You’d have to miss the Hasidim and viande fumée of Outremont, the Italians and maple syrup galettes of the Marché Jean-Talon, the poutine, the St-Hubert chicken swimming in veal gravy, the Molson brewery. You’d have to miss the 20 miles of underground tunnels, the bilingual beggars, and the very much still alive struggle of French and English that dominates the city but your guidebook cautions you against mentioning. Hell, the stop signs there say ARRET; in France, they say STOP. You miss all those things and I don’t know what you’ve seen, but it isn’t Montreal. Montreal isn’t Paris without the jet lag. It’s Montreal. I learned to just see, to really open the eyes, to let things and people and places speak for themselves without thrusting expectations upon them. While in Montreal, I developed a strong taste for local bakery chain Première Moisson’s pointes aux pommes, basically an apple turnover. My last morning in Montreal, waiting for a train at the Gare Centrale, I eyed an Oeuf McMuffin but figured I couldn’t leave Montreal without one last pointe aux pommes from Première Moisson. That morning, at the height of rush hour at the Gare Centrale, I waited in line at Première Poisson for one last pointe aux pommes. I stumbled through ordering in French, but the woman taking my order couldn’t understand my French and I couldn’t understand hers. She grew increasingly impatient, raising her voice louder and louder in joual as if by saying it louder and louder I might understand. The long, angry line of commuters behind me grew longer and angrier, and I grew more and more frazzled and frustrated. Eventually, I remembered the parable of the people-on-the-bus, the long, angry line of commuters faded away, the Gare Centrale grew quiet, a shot of Berlitz coursed through me, I suppose, and, through some combination of nouns and pointing, I eventually ended up with on a bench under a mural blue-and-white mural of the lyrics of O Canada, a coffee in one hand and a point aux pommes in the other. I learned sometimes it’s worth angering an entire city for one last bite of pointe aux pommes. Ah, Montreal. It’s a fab city, which I enjoyed immensely. Like yourself, my French was the metropolitan French, learned straight by a textbook filled with pictures of Tours Eiffels, baguettes, people wearing striped jumpers and eating Pâté de Foie Gras (which, let me tell you, is quite useless if you happen to find yourself in the 93 department). People, though, were more than happy to bridge the gaps that our supposedly common language nonetheless left (possibly because I kept on saying “Moi, je préfère le Quebecois”). Brilliant reading, thanks for this. It’s such a wonderful city. Glad you liked the read! Thanks for stopping by! You’re very welcome, you have a very nice blog!